The sound of the trumpet corresponds to the soprano of vocal music in the sound range, and it is very brilliant in the tone color. The trumpet is usually the most prominent part in the brass band. Even in jazz, trumpet players are more prominent by flashy performances. Art Farmer is not the type of such a typical trumpeter. His performances are noticeably noticeable. He is, therefore, frequently participating in recordings of various other musicians as side man. That is because he can skillfully support the playing player while keeping his own play style. In his leader album, he places great importance on ensembles with other performers, so his own solo part only does not play outstanding. I would like to describe the characteristics of his performance as "self-restraint dandyism". At the same time, I feel good in his performance. He ignores the co-star and suppresses himself playing his own trumpet. Since he does not exaggerate the audience and add exaggeration or excessive enthusiasm to the performance, he does not degenerate the performance vulgarly. His playing trumpet is a slightly faint tone, and there is no flashy brilliance. While considering the margin of the harmony, he will make a phrase to fumble and look for the next sound. The melody he produces moves steadily within the midrange, so it never interferes with other performers' solo performances. He played with Clifford Brown at the beginning of his activity - the time when he forms his play style. Brown is a genius trumpet player in the history of jazz. Brown was a player like the brightly shining sun for the people of those days. Brown played a trumpet with a slow and shining sound. And, he performed an impromptuely improvised creative phrase with key points of the performance. Brown had a great influence on many trumpet players. For future generations the trumpet player has taken the style of Brown as the standard and learned the style of his own trumpet. 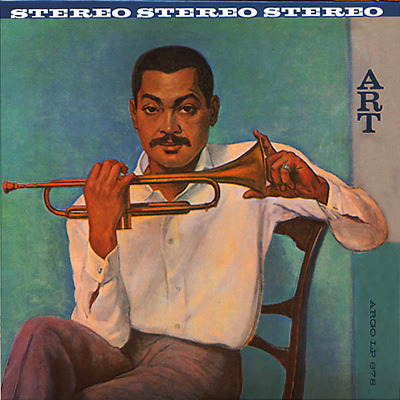 Art farmer aged Brown's closest while aging the style of singing its own melody without being swallowed by the influence of Browne who is different from herself. I think this was a very difficult thing. 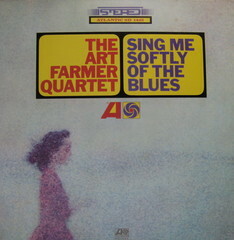 Art farmer pioneered its own style apart from the mainstream at that time. A person listening to his performance is enjoying tasting the taste enthralled in his casual expression. 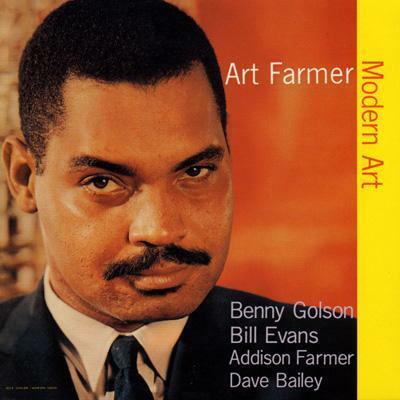 This album is a work in which the lyrical nature of Art Farmer appears well. Despite being a one-horn organization that Farmer joined the piano trio, he kept on suppressing his own horn, letting the piano and bass player beyond the frame of accompaniment before putting it forward. As a result, the ensemble of 4 players gives lyrical performance and tension to the lyrical performance that is characteristic of art farmer. He is playing a flugelhorn, not a trumpet. In the flugelhorn, the sound in the middle low range is softer than the trumpet. If you listen to the second song "Ad Infinitum", you can taste the sound of flugelhorn. You will first hear the heterogeneous sounds from the hard bop at that time in the intro by the dispersed chords of a crystal piano like a star. And Farmer's flugelhorn plays the theme clearly. After that, unusually, we play the theme together so that the piano cuddles the flugelhorn. Presentation method of this theme is not common. Then a piano like a flood of dispersed chords. In this song, piano is featured more than flugelhorn. At the third song "Petite Belle," you will be able to enjoy his solo performance. He uses a flugelphone featuring a soft tone and plays to sing a theme straight. As soon as he moves to ad lib, he plays an unobtrusive and elegant phrase without destroying the atmosphere of the theme. When reading the comment I wrote, do you think that his performance is a mellowy droop that did not get rid of as a beat. If so, that is a totally misunderstanding. He is not the type to play alone as a self-ingrained person. In this song, a crystal resonance piano and unique drums are adding a clear break to his performance. As a result, you will feel moderate throughout the performance. In the fourth song "Tears", the introduction of a fine distributed chord by the piano sounds like a flood. Through this album, the crystal sound of Steve Kuen's piano is impressive. His melancholy free gel phone appears as if it springs up from the sound of the piano like a flood. With this, the whole performance suddenly transforms into an aesthetic and decadent atmosphere. In the subsequent ad lib, we play violent performances like piano and drums intertwine. His flugelhorn is playing violently in conjunction. However, due to his self-restrained style and the influence of a cold hard sound like the piano's ice, as a whole, it will not become hot. I want to say that their performance is an intelligent or magical burning performance that keeps enthusiasm inside. The fifth piece of "Petite Belle" is also the same for their intense performance. Rather than his leader album, he is finished like he participated in a piano's trio of Steve Kuhn. This is because Farmer has made their abilities. Where such things can be done, the characteristics of Farmer are well manifest. By making their abilities, he created a sound that can be called a ghost . 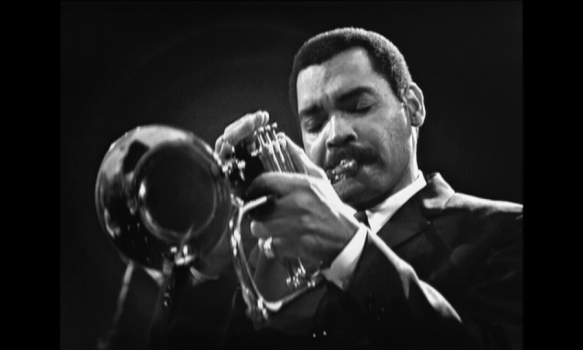 In this album, art farmer played flugelhorn, exposing his lyrical character to the fore. He plays ballads and slow numbers of popular standard numbers, singing a melody with the formation of one horn. You should not be deceived by the sentimental mood of a jacket girl's hobby. He does not express his own emotions straight, and he is keen to tie it to an impressive sound by controlling it. His self-restraint attitude is a cool play and fruition. That is why he is creating simple beauty without adding extra decorations, such as trying vibrato behind this, trying to change the tone, and so on. By suppressing unnecessary expression, he has a lingering finish. You listen to his performance as you imagine the line spacing when reading a novel. There is a characteristic of farmer's lyricism. It is 'beauty of restraint'. The seriousness of this farmer makes the listener feel the dignity. 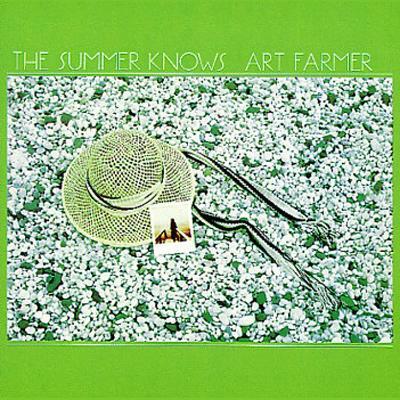 At the first song "The Summer Knows", he uses the soft tone of flugelhorn and blows a cool sentimental melody. A short pause attracts your attention because it is exquisite how to take a slight pause of his phrase here. As a result, you can feel a sense of reverberation. He repeats this melody over and over, but sometimes it inserts an improvising phrase as it flows from the melody. This improvised phrase is short enough to be said to be inorganic, short but it is creating a neutralizing effect on the subject's sentimentality. That is a halt to your immersion in sentiment. You can have a good distance feeling with the performance, so you can afford to feel the reverberation in the performance. And since the rhythm section of the back carves a solid rhythm, it gives sharpness to the performance. At the second song "Manhã Do Carnaval" they raise the tempo and start a bit intense performance of Bossa Nova style. He is playing a humble but humble note with a sharp sound of a sharp edge this time. From here, the third song "Alfie" starts without interruption. From the impressive intro of the piano, it slowly drops the tempo, and he sings with flugelhorn. This place is a white eye in this album. In the past he has done a good performance with a lyrical pianist like Steve Kuhn or Bill Evans. The piano with this song has a lyrical taste similar to them. He made the pianist's lyricism well demonstrated. Also, the elastic acoustic bouncing sound of the base is occasionally impressive, he makes good use of the back, and as a whole his flugelhorn unites with the back and produces thick music. In the handbook of jazz, this album is generally regarded as his masterpiece work. At the time of recording in 1958, when hard bop was popular, he also performed as a hard bucker. However, he did not reach Clifford Brown in the technique, and in lyrical play it did not match Miles Davis' cool. He was incomplete. It is this album that half fruit was fruited as his personality. In pursuit of a lyrical performance that makes the best use of the taste in posterity album, in this album he was seeking without finding out his own direction. For example, he plays a hot play not to play in posterity with this album. His performance in this album was surfacing the original clumsiness, and he overcame her clumsy later in the year and moved to a sophisticated performance. But in the album, his awkwardness is rather producing a rich flavor. This taste was easy for jazz fans who liked hard bop. He formed a group named Jazz Tett with Benny Golson, an arranger who is also a tenor saxophonist for a while. This album was a pioneer of it. Galson's saxophone style places importance on the sideways flow. Therefore, some people hate that his style is not sharp. However, because Golson did not interfere with Farmer's self restraining play, they continued cooperative play as a two-headed component. Bill Evans of the piano was in a state just before participating in the recording of "Kind of Blue" under Miles Davis. In this album, Evans has not yet found its own play style later. The first song "Mox Nix" has a unique intro of the piano. Evans' piano begins an impressive performance that will lead to later Evans, with a decorative sound that swings the cord while swinging. And Farmer's trumpet and Golson's tenor perform minor themes at Unison. They perform improvisation with solo in turn in the order of Farmer, Golson. It's drums and bass playing an active part here. They are pushing the whole group's performance and pulling them with rhythm. His play there is not a style to sing a melody in later years, but a style that plays an analytical fine phrase of Bebop quietly. This is strangely tasty. After him, Golson eventually compensated for his irresistible play, playing the phrase as smoothly as possible, contrary to him. And by contrast with the performance of Golson, the characteristics of his performance appeared. The first and second songs "Fair Weather" are distinguished by the piano intro's uniqueity, but overall it is a typical minor bop number. They are playing it tastily. The third song "Darn That Dream" is a slow number and he is playing lyrical. In this song he plays melodies indiscriminately. His performance is restrained and simple, but there is a reverberation. Here is the sprout of his lyrical performance later in the year. In this album, both the pioneering of his characteristic lyricism of the later years and the hard-bop jazz play like the first song live together. For some people, this is halfway reflected in posture. However, even with lyrical or hard bop, his attitude that is absolutely outstanding is sincere and respectful. As a result, it has become a fruitful one. Art Farmer participated in many sessions as side men in the 1950s. And beginning to record his own leader album from the end of the 50's. The album that best describes his character is a performance by one horn formation with such a trumpet. It is a big deal to attract people who listen with a trumpet through an album without getting bored. In fact, there are few trumpet players recording albums with trumpet's one horn. Moreover, if there are many songs of slow or medium tempo like this album, it can not be pushed by riding the up tempo, and a heavy burden is applied to the talking point of the trumpet. This album seems to be made casually, but I think that it is actually a very strange thing. This album is composed mainly of medium or slow tempo standard numbers. For example, the second song "Goodbye, Old Girl" is a slow ballad. He played trumpets quietly with long phasing. In the fifth song "Younger Than Spring", the introduction of the piano at the beginning is a delicate starting way that closely resembles Bill Evans' famous My Fresh Heart. But his trumpet begins to blow a ballad phrase humorously. The gap is humorous. In the first song "So Beats My Heart For You", play the intros lightly as if the bouncy bounces. Then his trumpet presents a somewhat refreshing theme, and then shifts to ad-lib with little up and down movement in the midrange, which has been staggering. Next time the piano takes over and plays similar tones. And the bass that bounced the entire song starts playing solo. As the opening song, it is like playing in an album smoothly. In the next "Goodbye, Old Girl", as I mentioned earlier, the trumpet melody that he sporadically can sing with a lingering finish. At this time, it is clearly evident that the phrase and phrase are slightly misaligned, and the phrase and phrase are interrupted. However, since the sound of his trumpet is rounded and smooth, it does not lead to the impression that breaks off with a break, and by making the recognition between the phrases, it creates gaps in which a lingering border is born from the recognition of that time. It is also a pawl that will not degenerate into mood music, as melodies do not flow smoothly. Also, the piano does not stay on his trumpet and leaves a distance, delicately performing. The trumpet jumps to treble near the end of the performance, light blowing is done with a slight accent and it ends. So, he never plays ballads so that they are immersed in the mood and get drunk. He is confronted with the listener as a performance of jazz to the last. In the third song "Who Cares?" They will return the tempo and develop ad libs with a calm feeling. As a whole, he is playing politely. Even in the fourth track "Out Of The Past" and the fifth piece "Younger Than Spring" he is taking over the atmosphere. In the 6th song "The Best Thing For You Is Me" they raise the tempo and it is relatively hard even for the whole album, making it the smallest but most exciting rage. Next 'I' m A Fool To Want You 'turns and turns into a slow number. He plays with minor themes again and again. He says he can not play it even though this song or the like may play more like an appealing more quickly. The whole album has a unified atmosphere that kept overshoot.